Dutch newspaper NRC recently announced the ‘retirement’ of their China correspondent Oscar Garschagen, after having made several ethical mistakes. The editor-in-chief Peter Vandermeersch concludes in an investigation that Garschagen violated the work ethics and is solely to blame. 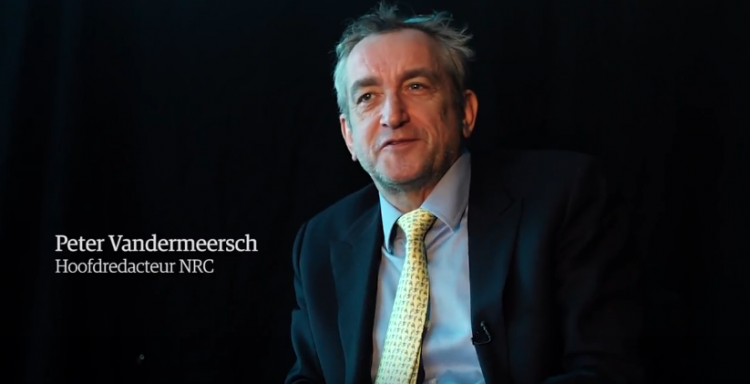 Now, it is true that Garschagen has crossed the line, admitting himself, but by framing the guy as an old man suffering from mental illness, Vandermeersch beautifully removes the workings of his organization out of the picture. In the study ‘News Framing Effects and Emotions’, Andreas R. T. Schuck and Alina Feinholdt state that news framing refers to the observation that media can portray one topic in various ways, focussing on a specific aspect at the expense of others (Shuck and Feinholdt, 2). The NRC investigation is a good example of framing. Garschagen is portayed as an old senile man, suggesting associations (Schuck and Feinholdt, 2) that led to making up elements in some of his stories on China. It leaves no room for the aspect of possible wrongdoing of the newspaper itself, and especially the ones in charge. The investigation does not include or investigate the work ethics of its own organization, while there is enough reason to elaborate on these aspects as well. Dennis Chong and James N. Druckman write in the study ‘Framing Theory’ that citizens often have found to have low-quality opinions. High-quality opinions, which you could say is applicable to the NRC editor-in-chief, are seen as connected to abstract principles and values (Chong and Druckman, 103). In my opinion Chong and Druckman underestimate the general public and overestimate ‘high-quality’ opinions. Vandermeersch’ decision to leave the newspaper, that facilitated the mistakes, out of the discussion, is in my eyes not high-quality at all. Whether it is priming, framing or both, editor-in-chief Peter Vandermeersch should try to be a proper journalist by being transparent and critical of not only his employees but also the organization in general. Chong, Dennis, and Druckman, James N. “Framing Theory.” Annual Review of Political Science 10.1 (2007): 103–126. Print. Schuck, Andreas T, and Feinholdt, Alina. ‘News Framing Effects and Emotions’. Published Online: 15 May 2015. 1-15. Print.